• Rated Line pull 15,000 lb. The Ramsey POWERMASTER 15,000 lb. 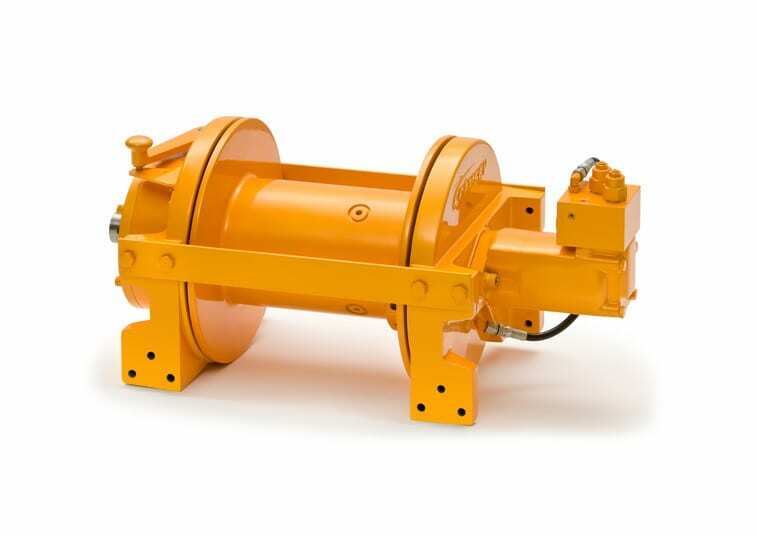 is an Industrial Hydraulic Planetary Winch developed to meet a need for increased line speed for vehicle recovery and other industrial uses. It features easy free spooling, single lubricant for all temperature ranges and it’s rugged, powerful, yet light weight. The POWERMASTER 20,000 is a compact winch that has a drum that holds 220 ft. of cable.